Ink Master season 10 episode 14 preview: Ranking the final five! As we look ahead to Ink Master season 10 episode 14 there are going to be some lively debates — after all, we’re near the finale and this is the most exciting time of the entire season! With the elimination of Jeremy Brown at the conclusion of Tuesday’s episode we would argue that every single predictable elimination is now over and done with. We’re left now with five extremely talented people and there are two different ways to look at them: Who has the best shot of making it to the finale and then, in turn, who has the best shot to win. With the structure for this show being what it is, we do think that these are two very different things. For the sake of this CarterMatt article, we want to focus more so on the latter in trying to determine who out of the remaining artists has the best shot of taking home the title. 5. Jason Elliott – He’s an awesome artist but, at least in terms of momentum, we’ve seen things slow down for him a little bit lately. He hasn’t had a Tattoo of the Day win in a little while and he’s also on a team with another pretty dominant artist in Juan Salgado. He’s a darkhorse if he makes it to the finale, but he may have a hard time getting that far. 4. Roly T-Rex – Roly’s chances of making it to the finale seem to be pretty good since it’s a production dream to have one artist from each coach in the last round. He is also pretty talented and it feels like he’s been underestimated most of the season. He hasn’t had as many standout moments as some of the others, but with the entire edit of Team Steve as the underdogs this season, it wouldn’t be a huge shock to see him make it there and blow people away. 3. Deanna Smith – In terms of total airtime this season she’s been presented as a possible finalist. We knew a lot about her going into the season and it feels as though we hear from her in confessionals at least a couple of times an episode. She’s the underdog on her team to Josh, but we wouldn’t be altogether shocked if Josh goes home after an off day and Deanna ends up making it to the finale instead. With her creativity it feels like there’s a chance that she could dominate the final tattoo of the season. 2. Josh Payne – Most of the season he has clearly been the frontrunner. He has received some of the hardest canvases throughout and yet somehow, he has avoided being in serious danger. If the series is really looking to have a winner who pretty much rocked the show throughout, Josh is the guy. 1. Juan Salgado – Finally, we turn to Juan who has completely impressed throughout, but beyond just that has a great story backing him up and feels almost similar to his mentor in Anthony Michaels. Neither was the dominant personality on their season, they both worked hard, produced beautiful work, and made sure that they peaked at the right time. Juan seems to be doing that. 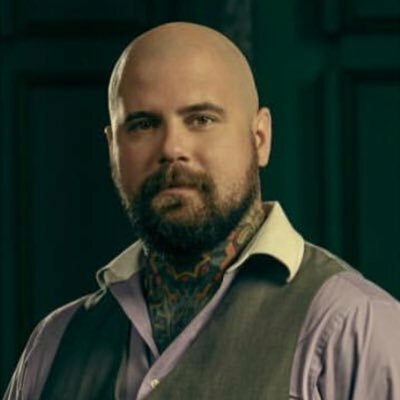 Who do you want to see win Ink Master season 10? Share right now in the comments!